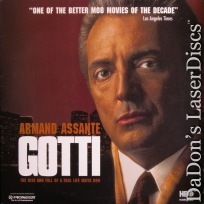 "Violent Meteoric Rise of Gambino Crime Family Boss..."
Gotti 1996 - 117 min. 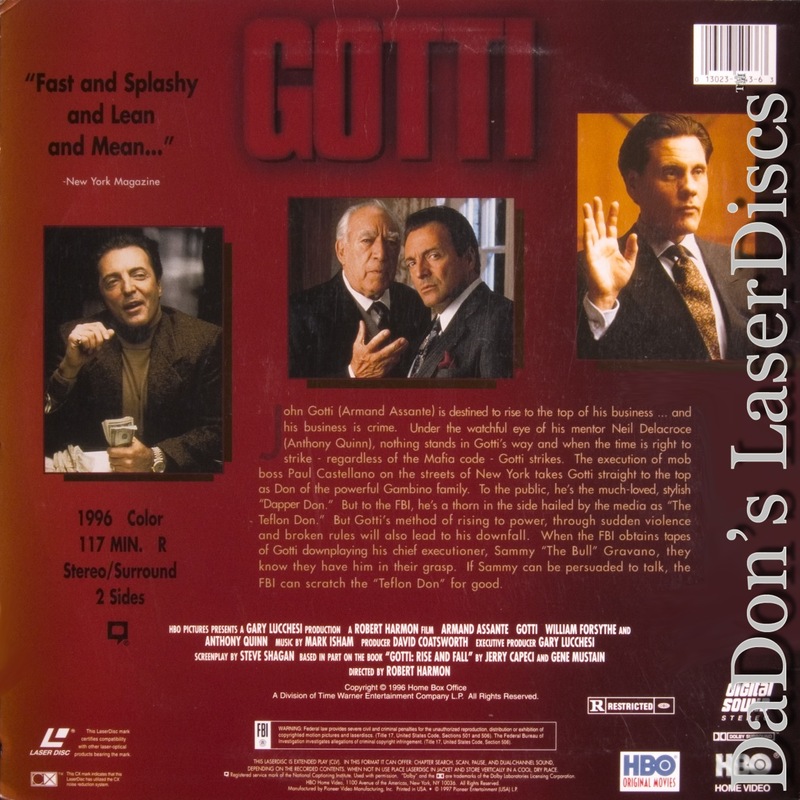 - Color Genre: Drama Rated R Country: USA LaserDisc Movie Storyline: The violent, meteoric rise of Gambino crime family boss John Gotti is traced in this drama, which also chronicles the FBI's struggles to bring down the "Dapper Don." 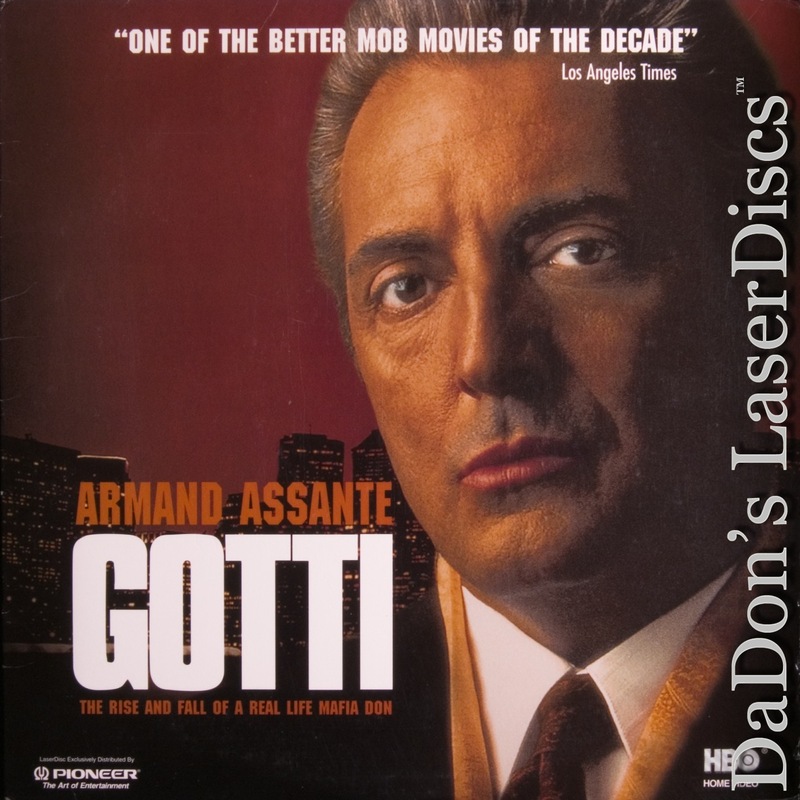 His refusal to play by Mob rules ultimately mares his Teflon resilience when the FBI persuades assassin Sammy "The Bull" Gravano to testify against his ungrateful boss. 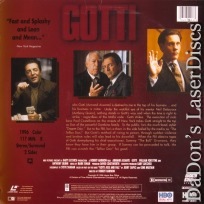 Based in part on "The Last Gangster: Winning the War Against John Gotti and the Mob" by Jerry Capeci and Gene Mustain.